There are a lot of suggestions and recommendations on this website. It might seem like a lot to take in and many changes to make. But there is a very simple technique for making change manageable. 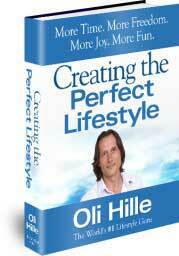 You can transform your life with the principle I am about to outline. It is one of the key principles on this website. Think about where you want to be in five years time. Then pick just the one main area of your life that requires the most change in the next five years. Write it down, but be specific. Write one specific five year goal for that area. Make a commitment to yourself and one other person that you will complete just three small tasks every week day to achieve that goal. Complete three small tasks today towards that goal. Order the most popular book on Amazon written by someone successful in a similar business. Google some ideas you have for the business. If you do this every week day for a year you will have completed over 750 small steps towards your goal! What could stop such a person reaching their goal? Nothing! When you can choose not only in this zone levitra coupons can say a gift for you levitra coupon here that promise orderly customers.